New game based on the upcoming animated film. 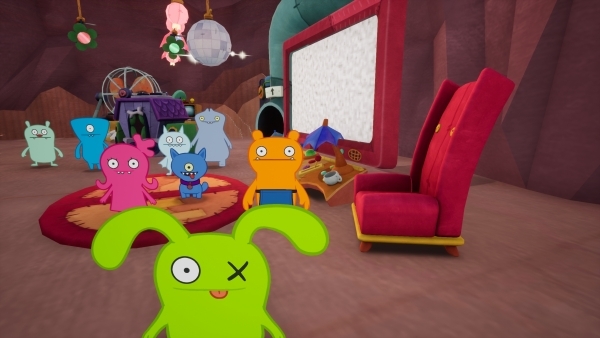 Outright Games, Whitespace Entertainment, and media company STX Entertainment have announced UglyDolls: An Imperfect Adventure, a video game based on the May 3-due animated film, for PlayStation 4, Xbox One, Switch, and PC. It will launch in on April 26 in North and South America. In this brand new UglyDolls adventure, Uglyville is under siege by a troupe of malfunctioning robots who accidentally travel to the town from Perfection and are overcome by the odd architecture and quirky angles. Gamers will play as heroes Moxy or Ox as they band together with their UglyDolls friends to send these mayhem-causing robots home. A New Authentic Adventure – Bring fun to Uglyville as the UglyDolls rid their town of Perfection’s robots with their trademark style and wacky humour. Play Together – Teamwork makes the dream work! Delve into the Uglyverse with friends and family with local multiplayer. Iconic Characters – Moxy and Ox are joined by friends Wage, Babo, Ice Bat, Lucky Bat, Ugly Dog, and more on the quest to save Uglyville. Solve Puzzles – Collect, use, and craft items to overcome enemies. Replay Again and Again – Procedurally-generated elements ensure every playthrough is unique and one-of-a-kind.